We love food and hate denying ourselves. There is no question that we in America eat too much, and we teach our children to eat too much. Most of us have grown up with the idea that to be healthy we should eat three meals a day, and also snack between meals to keep up our strength. I remember as a child being forced to eat all the food on my plate—even if I wasn’t hungry! The sad truth is that most of the food we eat is not really good for us. It’s too spicy, too sweet, and too cooked. We don’t need all that rich food, especially the deserts and snacks. We in America are much too fat! And by our silly eating rules we are making our children fat! But more than that, we are training them to lust for food, to eat food for the taste and for the pleasure it gives, not for health or for strength—because if we ate for health and strength we wouldn’t eat all that cooked, spicy food; we would eat more natural, raw food. Thus because we have been trained to love the taste of food, and because we have been taught that we must eat three meals a day, with snacks between meals, the idea of fasting just isn’t logical to us. And so we reject the idea all together. We have a wrong view of sin and grace. There are some that believe that fasting has no place in this age of grace. They would probably say that fasting in the Old Testament was essential for the purpose of mourning and grieving over sin; but now that we live in this day of grace fasting is unnecessary—because God forgives us of sin. They believe that the more we sin the more grace abounds. They would say, “We are not under the law; we are under grace.” For this reason, they believe there is no need for fasting, that in this age of grace the Holy Spirit is with us to comforts us—and so we are not to feel pain or grief (which would come through fasting); rather we are to feel love, joy, and peace in the Holy Spirit. This whole train of thought of course is wrong. Just because God gives us grace doesn’t mean that we should not grieve over sin. The Holy Spirit grieves over sin and so we should too. So these are three of the reasons why people aren’t fasting these days. But as we know, they are not reasons backed up with truth. We have let Satan deceive us about fasting; we have not seen the good part of it, the good purpose of it. Please check out my blog entitled Eight Descriptions of Fasting to get God’s true purpose for Fasting. 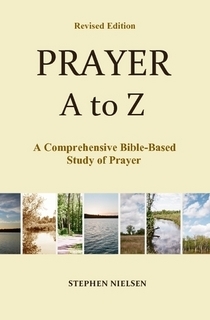 This entry was posted in Fasting and Prayer, Prayer A to Z Excerpts and tagged denying ourselves, extremism, Fasting, how to fast, not eating, prayer and fasting, sin and grace. Bookmark the permalink.